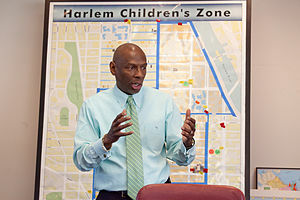 The opening scenes of the documentary Waiting For Superman depict education reformer/charter school advocate Geoffrey Canada as describing one of the saddest moments in his life. When he learned that Superman was not real, he was distraught because there was, in Canada’s words, “I was crying because there was no one coming with enough power to save us.” From his perspective, DC Comics’ Clark Kent/Superman “just shows up and he saves all the good people,” “even in the depths of the ghetto.” As a fellow comic book fan, I would have to question whether Mr. Canada knows the story of Superman, and the criticism thereof from the likes of one of his allies for justice, Black Lightning (Jefferson Davis, who, in one rendition, just so happens to be a public school principal) , who noted that Superman may be Kryptonian, but he is still white, and avoids the Suicide Slums (the poor side of town where Metropolis is). I want to lay aside that criticism, and talk about the idea of power, and what it means in eyes of education reformers. As I quoted Mr. Canada above, he was distraught that there was no one with all of the power to save what Geoffrey Canada calls “failure factories,” or schools in predominantly impoverished neighborhoods that primarily feed the community drop-outs and/or felons, and yes these are communities that are of predominantly black and Latin@ American populations. These “failure factories” are what stifle economic growth, deprive corporations of an educated workforce, and communities of stability. From the perspective of philanthropists such as Bill Gates (from the documentary and his history of being active in the Education Reform movement), children receiving education is for the purpose of the workforce, so that multinational corporations can keep up with global competition. 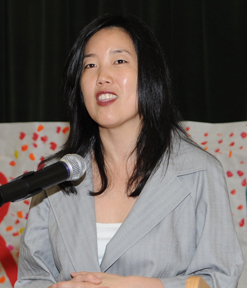 In Waiting For Superman, the topic of power is not discussed again until we see education reformer/charter school advocate Michelle Rhee at work, who was given “broad powers” to make sweeping changes. The issue of power is an interesting topic, and to see it discussed explicitly in these two instances are what caught my attention. Where does power come from? Who has it? What does it look like? Superman’s extraordinary abilities: his capacity of flight, his superhuman strength and speed, his freezer breath, his x-ray vision, these all do not come from out of nowhere. They are a direct result of his alien physiology. For those who are unfamiliar with this story, Clark Kent is the last of his kind from the late, great planet Krypton. While there are many re-tellings of this story, and they are fairly consistent, my preferred interpretation is the most recent one given in Zach Snyder‘s Man Of Steel. There, we find Krypton a dying planet that was once a great empire, that would go across the galaxy, taking away resources from other planets to serve its needs. In short, Krypton’s fate is sealed by the very death-dealing forces it unleashes on the rest of the galaxy. Education Reformers like Michelle Rhee and Geoffrey Canada work to privatize public schools that are meant to benefit ALL children. These reformers want to take the literal winners of lotteries who get admitted into these schools, and place them in nicer school buildings where teachers are “held accountable,” and with smaller classroom sizes. Part of the education reform mystique is that the very best charter schools can deliver students who go on to college sometimes 70% to 80% of the time. Education Reform is heavily reliant on three interlocking forms of oppression to make this happen: the new apartheid system in the United States through de facto segregation; the horrendous exclusion of children with disabilities, and the neo-liberal class warfare that the rich engage in with the wretched of the Earth. The face of education reform in Waiting For Superman, is by and large, non-white. The documentarian, Davis Guggenheim behind the production, is surprise!! !, white, and sends his children to private schools [real shocker, I know! sooooo unbiased!]. But in order to disarm those persons who would be suspicious of the white supremacist assumptions behind education reform (comments from the film include analysts being surprised that those minorities can do the work standardized testing requires! ), the faces for the show necessarily had to be two People of Color, Rhee and Canada. The idea to privatize public education is nothing new. Richard Nixon with his Southern Strategy worked to block buses from integrating schools in the late 1960’s, early 70’s. If children can’t get transported to school, they can’t have access to education (this will be important a little later). A recent United Nations study has shown the links between racism and economic oppression by examining the numbers concerning what some writers are calling Neo-Apartheid. The agenda of Michelle Rhee’s astroturf organization Students First is nothing new; it was first concocted by Southern Segregationists in the 1950’s. Connecticut education reformer Steve Perry of Capital Preparatory Magnet School faced legal trouble because he was using public funds to run a de facto racially segregated charter school. It is this type of reactionary, neo-segregationist practice that is part of the education reform equation. If Perry wants to run a private school geared towards students in urban [read: black] neighborhoods with “tough” love, then he just needs to start a private school, and get away from the people’s tax dollars. Neoliberal politics relies on racism as well as economic injustice. As Edward Snowden has revealed, former Western imperial powers and their satellite settler countries have doubled down on corporate espionage against countries in the Two-Thirds world that are seen as economic threats. Racial and social stratification are the driving factors for education reform. In the state of Texas, they have what is known as “the Robin Hood Tax.” The Robin Hood Tax is essentially local property taxes raised by voters in the community to fund public education. In the early 21st century, the Texas legislature faced a legal challenge from civil rights organizations to have a statewide property tax to get more funds for public education. What was the response? The Powers that Be in Austin cut property taxes, and funding primarily became the burden of local districts. Speaking from personal experience, I had a friend in college who attended public school in one of the wealthiest suburbs in Dallas. According to him, it never sat well with him that at his school cafeteria had sushi served to students at lunch as well as a parking garage. Meanwhile, a few miles away, schools with fewer funds to work with serve students free lunch and educated them with under resourced teachers. Among the opposition to “Robin Hood”? You guessed it! Education Reformers who instead went after teachers’ salaries (it’s superfluous to talk about unions in a right-to-work/fire at will state), and mandated class sizes. In other words, teachers and students suffered in the end because education reformers are only out for the private interests of the wealthy. One of the most glaring differences between public schools and charter schools are the admittance policies. Public schools, because they were founded on the principle of the common good, have open admission policies for children with disabilities (CWD’s). 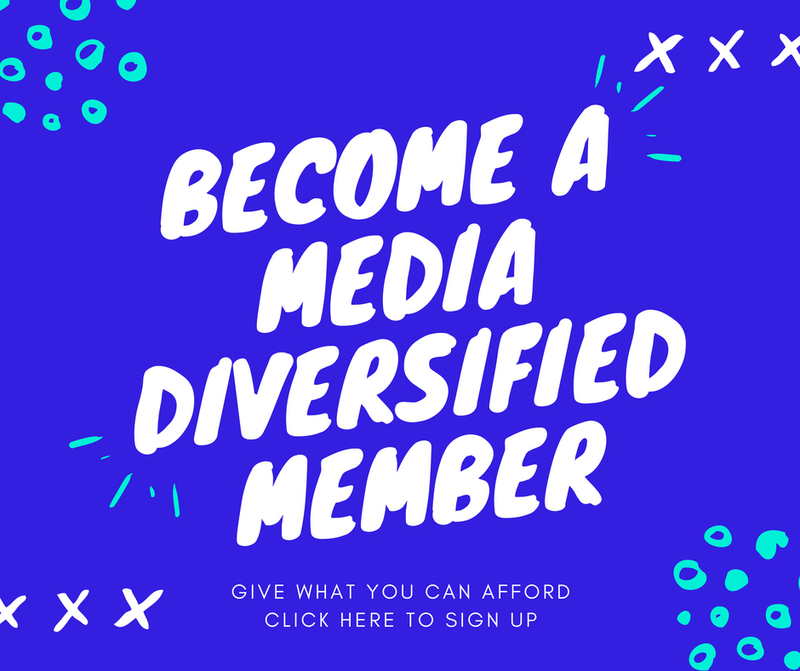 Even media outlets that are pro-education reform such as the Wall Street Journal, have noted the history of neglect given to CWD’s. The very purpose behind Education Reform is at its root, ableist. From Waiting For Superman, the purpose of education is to get students into college, and out into the workforce. But the workforce is exclusive of persons with disabilities; the neoliberal culture of college campuses here in the United States do not have curriculum for students with mental disabilities. That is why post-secondary education for SWD’s include vocational education. As someone who has worked with students with disabilities going on now over three years, I can tell you that the spaces in higher education are violent in that they lead to further social stratification based off of whether a person has disabilities or not. In the larger neo-colonial scheme of things, education reform profiteers from division and dehumanizes racial minorities, the poor, and persons with disabilities in the process. The Federalist Party and its leaders had the long-term vision to see that education was not just about economics, it was about politics, and fighting for our freedoms. As a group that had secured victory in a colonial struggle, these 18th century patriots should serve as proper models for how we should view education. Education and decolonization are necessarily tied together, and it is the maintenance of wisdom that preserves freedom. Paulo Freire argued against certain methods of teaching, one of which is the banking method endorsed to this day by education reformers and defenders of Standardized Testing. Children are viewed as piggy banks; teachers and testers can just drop coins into their brains, and then, come test time, when they are opened, all the money (LITERALLY, CUZ STANDARDIZED TESTING IS ABOUT MONEY; if a school does better on tests, SPOILER ALERT, it gets more funding). Education Reform and Standardized testing are the banking method taken to its logical, disastrous, neo-colonial end. So, if instead we are to take the tract that Education is for the Sake of a Free, democractic citizenry, we can see that this is a far more inclusive vision than education reformers and its the status quo. 1. First, we just need to get rid of standardized testing. No if’s, and’s, or but’s about it. They are utterly useless, and our children are only learning answers to tests rather than being educated. GOOD RIDDANCE! 2. Meals and transportation need to be provided FOR FREE. Charter schools and public schools can pool their resources to make this happen. If Charter schools do not provide free transportation, like this situation in Hawaii, then this proves they are not about the public good. In that case, charter schools should close their doors. Immediately. Public education should mean free access to the opportunity to become excelling citizens in the community. Meals should cost nothing as well. Children cannot learn on an empty stomach, breakfast and lunch should be made available. 4. Multiculturalism is a must. In a culturally pluralist society, all students from all backgrounds should learn to be culturally intelligent, knowing their histories, and getting to know themselves better. Diversity is an important part of the education experience. The end game of quotes and affirmative action based on economic need should be for a more diverse workforce that is better prepared to face global challenges. 5. Multilingualism must become mandatory. I am not talking English and Spanish only. I am talking about learning Mandarin, Latin, Greek, at least 2 additional languages before graduation. Of course, this system can be adjusted and flexible to meet needs. In the spirit of W.E.B. DuBois, who opposed the education reforms of Booker T. Washington, we must recognize that exposure to foreign languages can help us gain a better grasp of the primary texts of the Western canon, so that we transcend them. 6. Meaning Making (philosophy/humanities) must be incorporated into our education system. Knowledge is about learning the ways not only of today, but of the past too so we can create a better future. I won’t make any suggestions here outside that each community can decide for itself whose philosophies to study, as long as the separation of church and state is not violated (that’s for the U.S. context). 7. Mainstreaming Tracks for Special Ed and Behavior Improvement Classes/Schools: The purpose of educating all students should be to empower them as citizens. As such, alternative schools for students in need of Behavior Improvement curriculum should work towards the goal of multiple tracks, with mainstreaming being the ideal, but also a GED or vocational track as well. The same should go for special education departments; the more options, the better. Charter schools and public schools could pool their resources together within the community to make the latter happen, and give parents more choices. 8. Mathematic Incentives 6th grade to Public University: In high school, we learned that during the Cold War, the federal government went out of its way to get citizens in space. Since we are going to get rid of the federal government’s role in standardized testing, it can put forth its efforts and monies towards rewarding students and families for making strides in mathematics, and encourage them to go into science and engineering fields. These are just a few solutions I have been thinking about. Are there any other problems I have excluded? Are any of my proposals problematic? Comment below! Thanks Shane for sharing that article. I’ll have to read it!